JERSEY CITY, New Jersey (WABC) -- A New Jersey soldier killed during a training accident in Fort Hood will be laid to rest Saturday. Army Pvt. 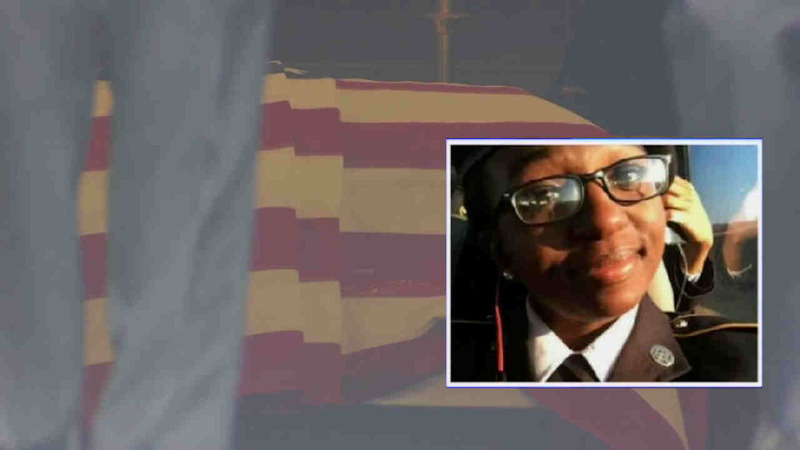 Tysheena James, 21, was one of nine solders killed when the military vehicle they were in was swept away by flood waters at Owl Creek near the base. "She touched so many people," said Essie James, her mother. "She was hungry, hungry and determined, she just had a passion a straight real raw passion to serve to be in the army she loved it she really did." James will be laid to rest Saturday at Metropolitan A.M.E. Zion Church. Gov. Chris Christie also ordered flags to fly at half-staff in her honor. The bodies of five soldiers from the Central Texas post were recovered June 3 and four were found the next day, while the three surviving soldiers were discharged last week from Fort Hood's hospital and returned to duty.